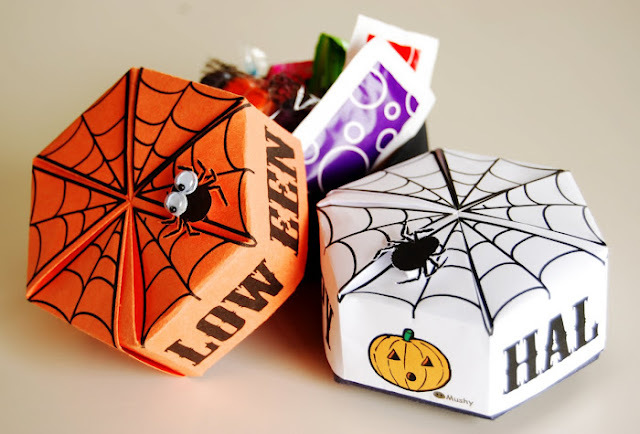 These cute spider web origami boxes will make fun treat holders for your Halloween goodies this year. They are even a great craft for kids to make at their Halloween class party, a party favor they can fill with treats and take home after school. You can download your free printable spider web origami boxes for Halloween over at Mushy.